For over thirty years, millions have come to rely on the timeless wisdom of Dr. Warren W. Wiersbe's "Be" Commentary series. Dr. Wiersbe's commentary and insights on Scripture have helped readers understand and apply God's Word with the goal of life transformation. The Transformation Study Bible offers the full text of the highly readable New Living Translation with accompanying notes and commentary from the 50 books in Dr. Wiersbe's "Be" series. 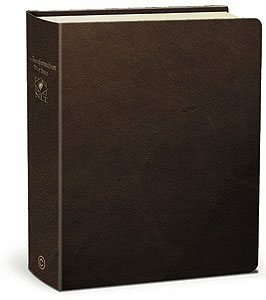 This is a must-own Bible for everyday use by all Christians who want to get more out of their study of Scripture.